The kitchens are all very nice but truth be told, I like yours so much better than all of the ones pictured. Your kitchen is so great! Love these kitchens...especially the light fixtures and truth be told, I'm kinda crazy about the diamond stained floor too! Sp exquisite and elegant. I love them all. I don't think I could choose a favorite even if I had to! I love the black and tan flooring on the second to last one... so amazing! Kitchens are my favorite room to decorate and these pictures capture the warmth and character I am always trying to achieve! Thrilled you posted them for me to drool over!!! These kitchens are truly delightful. 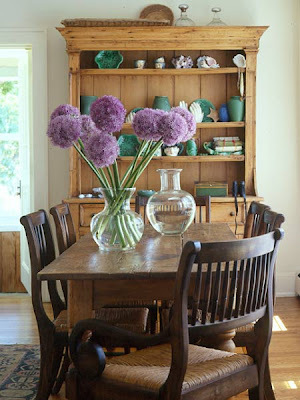 Rustic, beautiful, simple, welcoming. 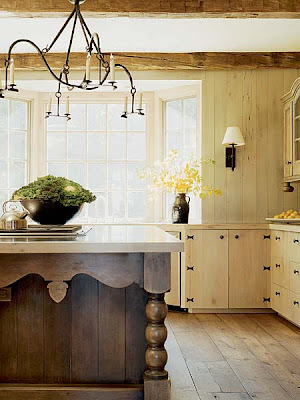 Ok - that island in the first kitchen is jaw droppingly beautiful. That one's going into my "dream house" file :). Gorgeous but yours is better! 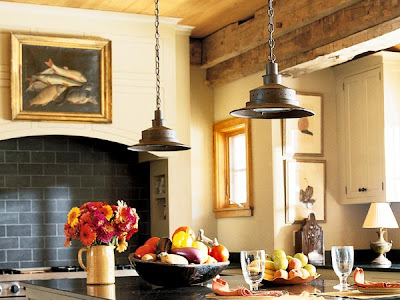 Wonderfully cozy kitchens! I like the smallish ones. Seem much more intimate. 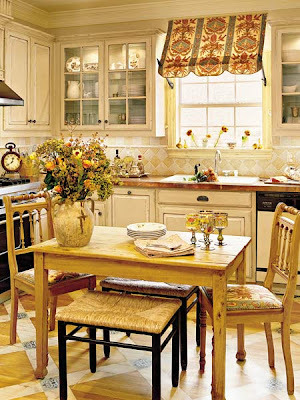 I love the kitchen with the diamond patterned floor, but I wonder if I wouldn't get sick of it after a short time. 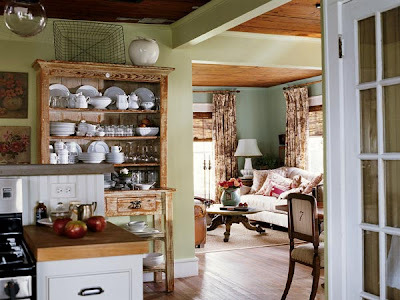 Love the cottage kitchens too! Oh... I'm having a fun giveaway on my blog right now... come on over and check it out!